This past summer the 26th International Biennial of Graphic Design in Brno appointed “education” to be its overarching topic. As any physical manifestation of education is merely a side effect or support structure, this decision poses an inevitable representational dilemma. We may, for instance, look at a school through its architecture or its visual output, but we cannot ever accurately grasp the formative experience it engenders. Education, essentially, is an intangible process. 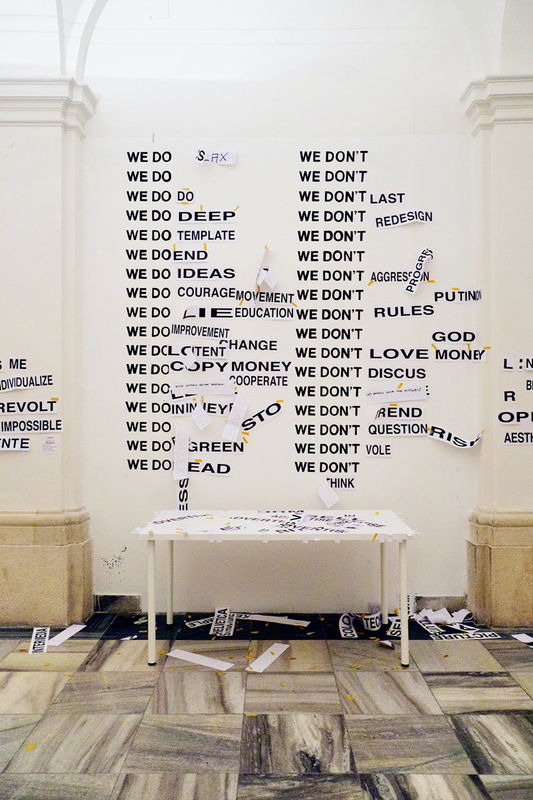 As such we should maybe focus less on the form the Brno Biennial took and more on the issues it revealed. 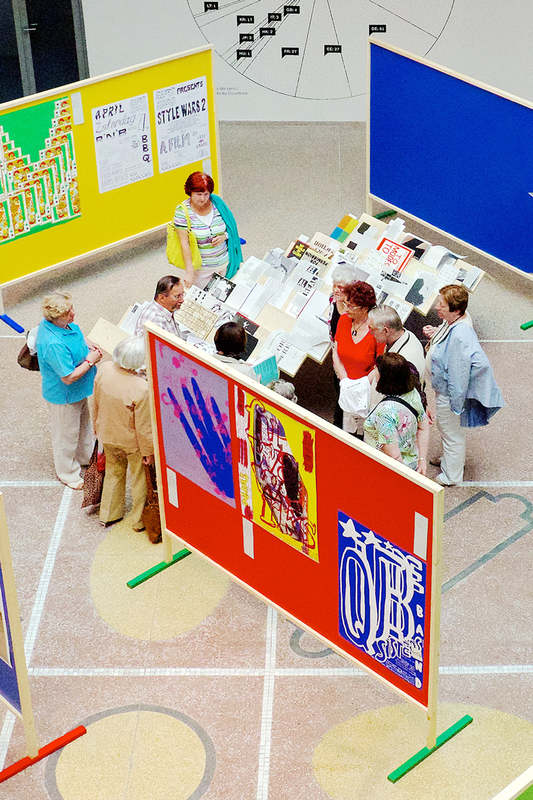 SINCE ITS INCEPTION IN 1963, the Brno Biennial has always been an educational endeavor. Looking to bring contemporary examples of international graphic design to the Czech Republic (then Czechoslovakia), the biennial both wanted to imbue the general public with an appreciation and awareness of “applied graphics” as well as inform practicing graphic artists about the current international state of their profession. Or as Karel Holešovský put it in the catalogue of the 1st Brno Biennial, they aimed to “contribute to a decisive and further improvement of the level of applied graphics to international standards.” Each year was accompanied by a symposium of lectures and a publication that reflected on current tendencies and important issues, which ranged from topics such as “Graphic Design in the Service of Industry and Trade” to “The Social Responsibility of the Graphic Designer.” Until now, the Biennial has basically been a polythematic potpourri of individually curated exhibitions. This year, however, was different. For the first time there was a curatorial team—Czech designers Radim Peško, Adam Macháček, and Tomáš Celizna—that devised one topic to run through all of the different structures and formats that make up the biennial. All of them being teachers in various international schools, they felt that “Graphic Design, Education & Schools” was the topic that had an urgency to be addressed. By turning to education the Brno Biennal not only acknowledged and reflected on the training that goes into becoming a graphic designer, but it also drew attention to its own discursive and pedagogical potency and responsibility—to not simply show and tell, but to also reflect, discuss, and question. Left: Children’s drawing workshop in the space of From A to B to C. (© Kamil Till & Andrea Velnerová) Right: Postcard of Saint Jerome to bring home from The Study Room. “WE WERE IN THE FIRST PLACE trying to explore the Biennial as a format: its possibilities, dynamics and of course limitations. 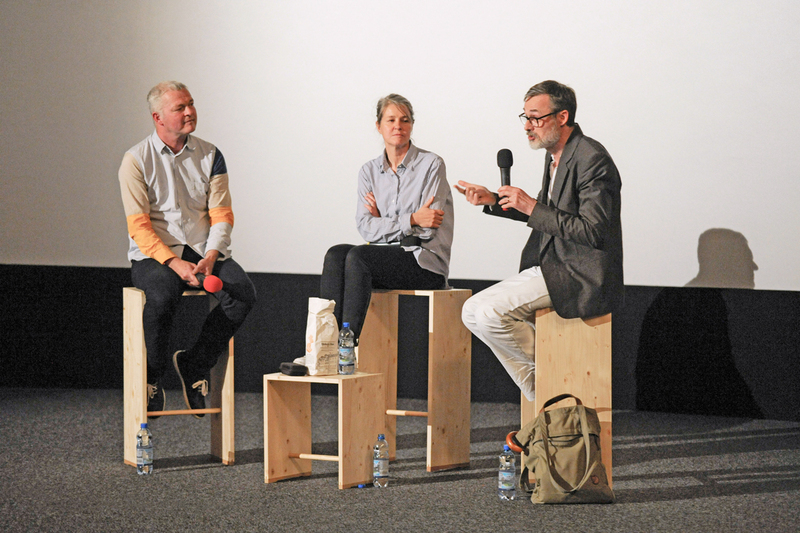 Among the many objectives we set up for ourselves, we aimed to compose the Biennial as a sort of platform and prepare conditions where discussions could happen and thrive,” Peško, Macháček, and Celizna explain their approach. While usually an educational side-show to the main exhibitions, in the case of this year’s Brno Biennial the lecture program and its friend next door, the newly added OFF Program—a non-curated open space that invited people to contribute with and take part in side-exhibitions, workshops, interventions, lectures, presentations, and activities—felt like the center that everything else revolved around. Education was taken out of its supporting role and superimposed onto the whole event. The only two exhibitions that lived outside of the curatorial topic of education showcased the works of awarded designers from previous editions of the Biennial. In 2010, Czech designer and typographer Rostislav Vaněk was recognized with the prize “Personalities in Czech Graphic Design” for his life’s work, and Dutch design duo Mevis & Van Deursen were singled out as the “Grand Prix” winners in 2012. The two awardees could not have approached a monographic exhibition more differently. While Vaněk smilingly shrugged off my question about whether he had found it difficult to make an exhibition of his own design work, Mevis & Van Deursen, together with Swiss curator Moritz Küng, made a statement towards the impossibility of exhibiting graphic design. Ironically, in both exhibitions, things ended up behind glass—untouchable and reduced to mere surface. 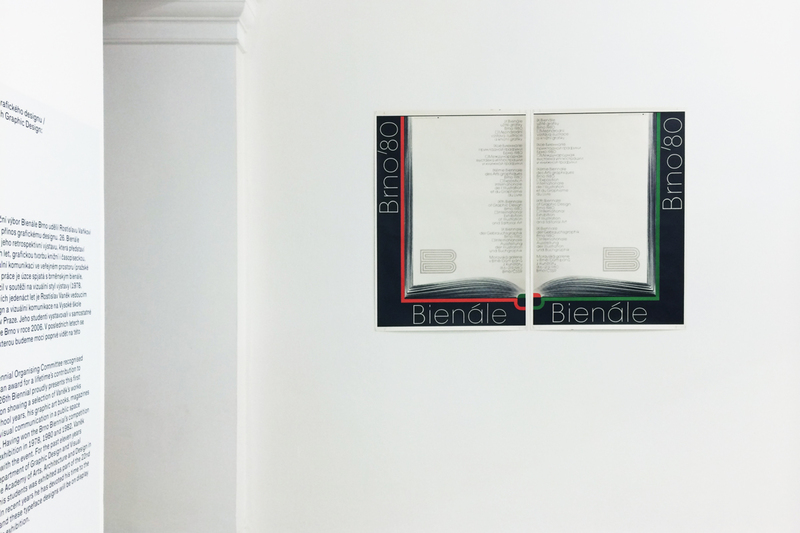 With its self-critical approach Our Art: Mevis & Van Deursen followed in the footsteps of Peter Bil’ak’s Graphic Design in the White Cube, presented at the Brno Biennial in 2006. Both point to the problem of isolating works that were created serving a different function and context within the walls of an exhibition. 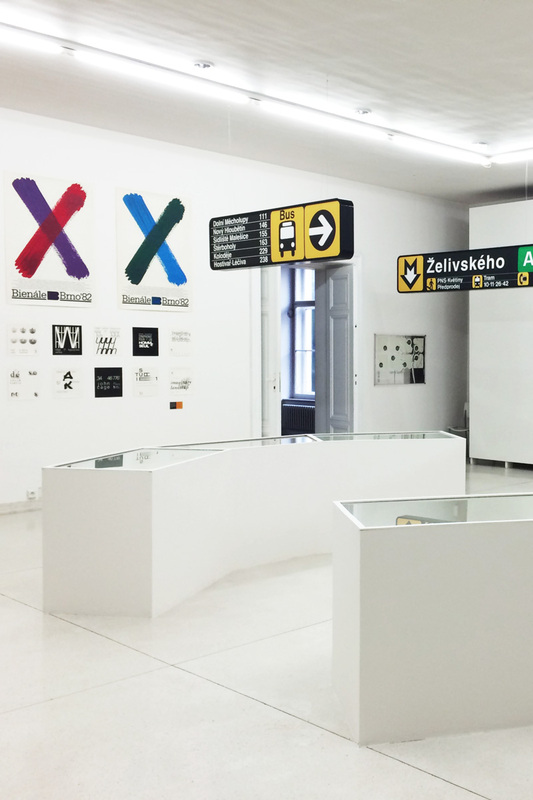 Whereas a traditional graphic design exhibition such as Vaněk’s generously gives people a lot to look at, a conceptual one like Mevis & Van Deursen’s might give them more to think about. Some rooms we walk through looking, others we inhabit reading or working. Ogled by Saint Jerome, the “poster boy of scholars” as Pieter Verbeke and Elisabeth Klement called him, the visitors of The Study Room were invited to sit in silent self-study and draw inspiration from a selection of books that an invited group of designers and theoreticians had shared from their private library. 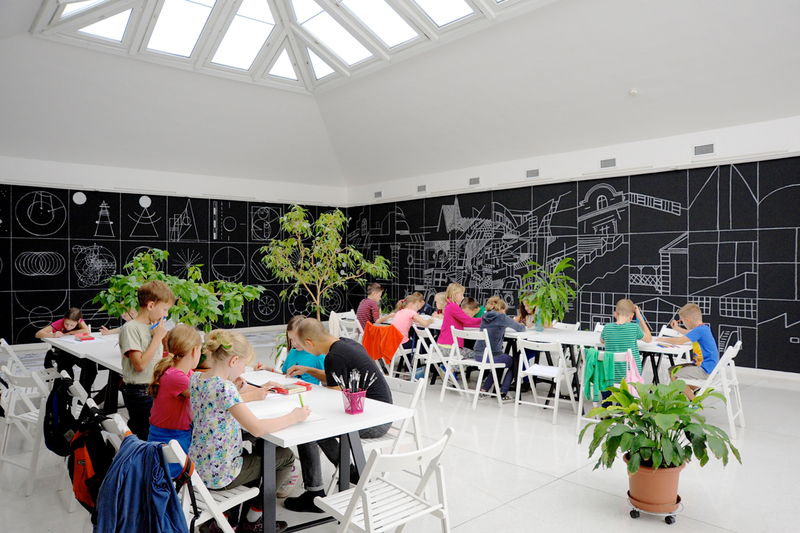 And Rudy Guedj allowed the blackboard walls and white chalk drawings of his From A to B to C to do more than outline the history of art education. Instead of simply cladding an empty room they also served as the backdrop for a set of workshops. UP UNTIL TODAY, the International Exhibition—the Brno Biennial’s most longstanding exhibition format—presented an international selection of professional works of design. This year’s edition, however, marked a curatorial contrast: in the name of education, only works produced by students were admitted. That way, outspoken credit was given to works of graphic design that result from educational and not professional conditions, and new unknown names were highlighted instead of old well-known familiars. 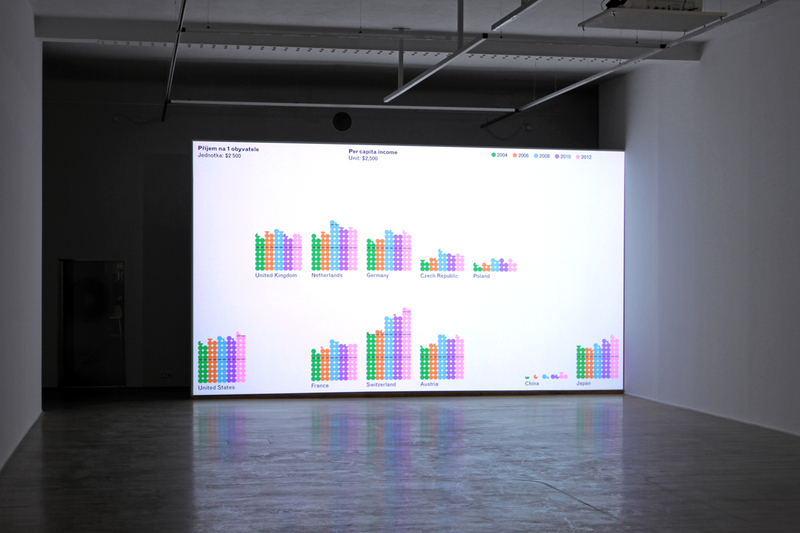 In contrast to the International Exhibition that focused on materialized results, Nina Paim’s Taking a Line for a Walk examined the questions that prompt student work: assignments. Designed in collaboration with Emilia Bergmark, and with text by myself, Paim’s exhibition sought to reveal the hidden layer of language that is embedded in any designed outcome. Following Alice down the rabbit-hole: a selection of assignments collected through research and an international open call were exhibited as larger than life sheets of paper pinned all over the walls, objects used in teaching were presented as a board game, and painted murals, objects, videos, and audio works produced by students specifically for the exhibition enriched the seven rooms with delicious distractions. The result was a sort of “Cabinet of Wonders” for design instruction. Some assignments lay out clear rules or give precise instructions, others simply stimulate a process or throw out questions. In any case, assignments elicit thinking and ask for solutions, while they also indirectly define and formulate ideas about design. Left: Blown-up assignment sheets pinned to the walls of Taking a Line for a Walk. 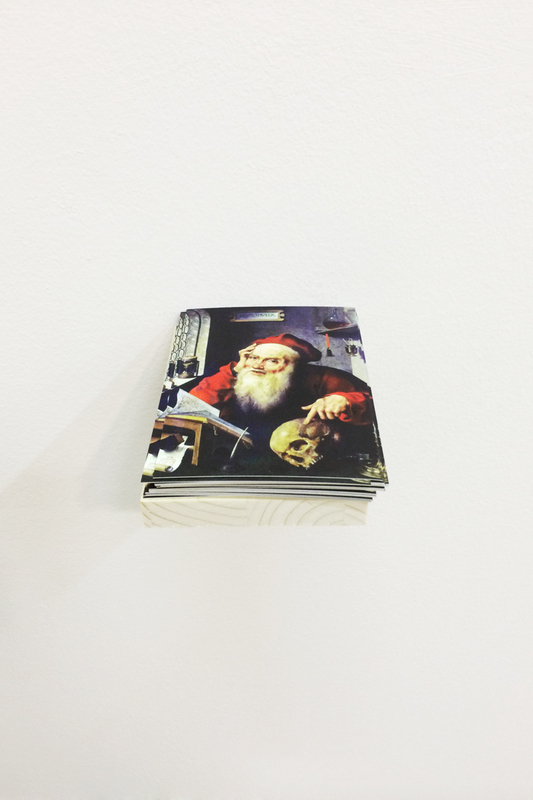 (© Brno Biennial) Right: An ‘object lesson’-riddle in the same exhibition. THERE WAS A TIME when professionals would look to schools for inspiration, but today the roles seem to be reversed. Students now look at work produced in the market economy to see how things should be done, instead of thinking for themselves about how things could be done. Assignments also often aim to bring professional reality into school. They generally do so by emulating real-life conditions or bringing in actual commissioned work, hoping to prepare students for what working out there will be all about. But, it is debatable whether it is healthy that design education has moved from speculation and discourse to imitation and marketability. If we train the designers of tomorrow to simply follow the norms of today, how can graphic design move forward? Economists and politicians have meanwhile figured out the potential of “design thinking” to find innovative solutions to intricate problems, but designers themselves seem to have somewhat forgotten about the fact that their real asset lies in their own ability to think critically. Instead, there is a tendency to simply copy the trends that the market dictates. 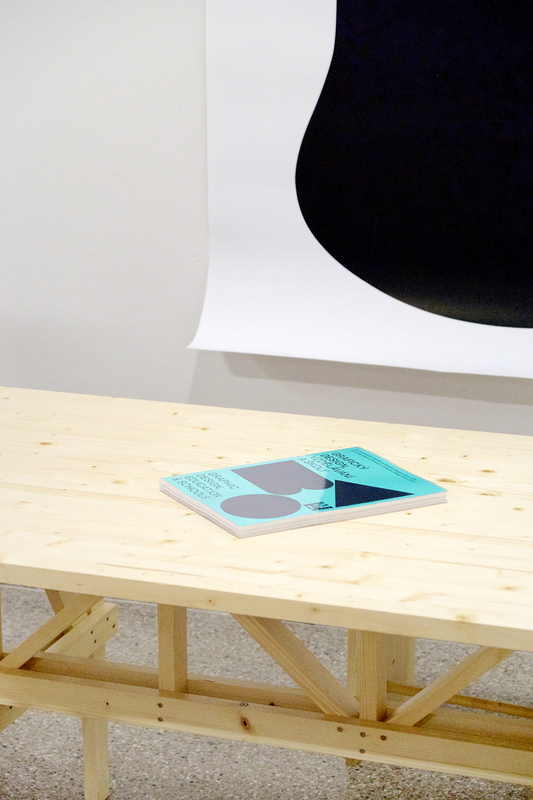 This formalistic and trend-driven approach to design among the younger generation was also quite apparent in the student work displayed in the Biennial’s International Exhibition. Despite their individual quality and visual fervor, the works displayed on non-black blackboards and other school furniture revamps ended up looking like a colorful sea of sameness. 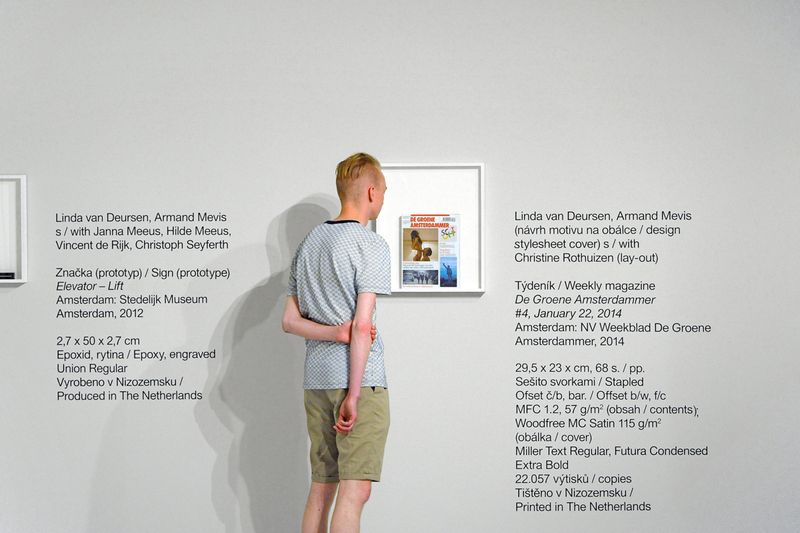 Peško, Macháček, and Celizna point out how this “tedious similarity of the student work […] does not so much concern the decisions of the selection jury, but rather reflects the state of graphic design today.” With the majority of submitted works having been books, posters, and other printed matter one could also get the impression that graphic design schools are still stuck in the Gutenberg era, not putting any emphasis on digital, online, or new media. The selection jury further attested to how “there is not such a big difference to the professional competition of two years ago” and that “there were many professionally produced catalogues” and “not so much ‘student’ student work.” Usually, the jury-members select one designer represented in the International Exhibition for the “Grand Prix” award, but despite the asserted professionalism of the student work they decided that—as it usually awards a distinguished body of work—there was no winner to be named this year. When it comes to recognition there apparently still is a difference between student work and professional work—even if there is none to be seen. THE RISING PROFESSIONALISM in student work stands in stark contrast to the worldwide exploitive ploy of hiring graduates as underpaid interns, which graphic design has also been buying into in recent years. Few ever really talk about this openly, but it is a reality for many graduates today—and not only for graphic designers. A recent article in The Economist calls it the “Generation i.” It further informs us that in the United States “a checklist devised by the Department of Labour stipulates that in order to be unpaid, an internship must be ‘similar to training which would be given in an educational environment’, must not displace employees and must not give the employer any immediate advantage from the intern’s labours.” When I moved back home to Switzerland in the beginning of this year, I was offered many internships, but not many jobs. “We only work with interns” or “I see this more as an internship—at least what concerns the salary” or “we usually hire people that already did an internship with us” were only a few of the answers I received. And that was after I had already invested one year gaining valuable experience through an underpaid internship. This phenomenon is certainly also symptomatic of the precarious state the graphic design profession itself is in. For instance, many smaller studios working mostly for cultural clients seem to carry much of their workload on the back of highly able and motivated interns. With too many graduates eager to work for those small “big” names, the level of skills that the hired interns present would certainly not warrant the low salary they are being paid. If higher professionalism in school is equaled with lower employability after school there must be something going horribly wrong. While their graduates are struggling to find jobs, design schools seem to be flourishing. With the marketization and international standardization of higher education, and the proliferation of graphic design as an academic discipline, fees are rising, bureaucratic structures are tightening, and schools are evolving from intimate small-scale places to academic machineries with buildings akin to corporate headquarters. And there is no shortage of interested students. The romanticized ideal of the creative profession looms strongly, global individualism is further growing, and the number of students who want to step outside of their homelands and their comfort zones to advance their design training is still rising—as can be measured by the equally ascending number of foreign students at internationally acclaimed design school programs (often paying the much more expensive international fees) or the fast multiplying supply of graphic design summer schools (most of which don’t come for free either). OUTSIDE IN BRNO, with a water fountain calmly rustling in the background, I sat in conversation with a friend. A graphic designer and teacher himself, he mentioned something about “education” being a “hot” topic these days, and how he has started to grow tired of these discussions that don’t yield any actual changes. To this current art-school-cool (or by extension design-school-cool) curator Dieter Roelstraete also attests in a recent article “whereas in 2007 former Städelschule director Daniel Birnbaum could still observe that ‘words such as school and academy rarely spark enthusiasm in progressive circles,’ much of that sought-after enthusiasm is now likely to be guaranteed by the mere mention, no matter how perfunctory, of the words ‘academy’, ‘education’ or ‘school’ […].” Just as art and design education has grown into a market, so has talking about it. Corinne Gisel is a Swiss graphic designer and writer, currently working and residing in Zurich (CH). Since graduating from the Gerrit Rietveld Academie (NL) in 2012, she has mostly been working in the fields of arts and culture as an independent graphic designer, working by herself or assisting and collaborating with other designers. In June 2013 her collaboration with Nina Paim (BR) was nominated for the Swiss Design Award. Her approach to design is characterized by a high sensibility for research, editing, and language, which also manifests itself in actual writing about design. She was invited by Krabbesholm Højskole (DK) to be a designer and writer in residence during spring/summer 2015.